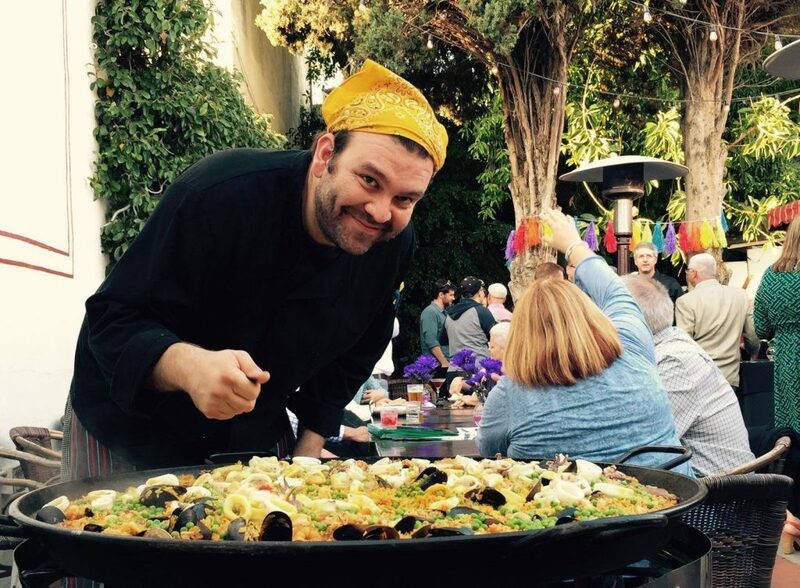 Every Saturday from 3pm to 6pm, El Cid Restaurant holds a paella party, “Paella in the Patio” in the quiet shady patio located a good floor-or-two down from its entrance. Chef Juvenal Rodriguez of Venezuela learned his paella craft during his time working in Barcelona at tapas restaurants. Aside from the outdoor paella pot on display each Saturday, diners are also treated to a variety of healthy servings of Spanish tapas as well. $25 will get you a big plate of paella straight straight out of the pan and also Juvenal’s tapas. There’s also a bar on hand and a Spanish-style flamenco guitarist in the patio. For those unfamiliar with the Spanish cuisine staple, paella is a fusion dish with rice, various meats, herbs and sauces cooked over a wide shallow pan called ‘paelleras’, usually over coals. Some chefs take it to the extent of cooking over orange branches and pine cones. There are many variations of the dish, from vegetarian to meat and seafood-centered paella dishes. Rice is most often included and stews up with the unique sauces of each chef’s concoction. El Cid is an old-Spanish style restaurant in the heart of Silver Lake off of Sunset Boulevard. That hosts various themed nights, from special food offerings, to live music and stand up comedy on their stage in the main dining room.